Handy Cleaners are a premier provider of facade cleaning services and are dedicated to offering quality services at low-cost prices. With industry-leading equipment and award-winning techniques, we can clean any building exterior you need. So if you want to spruce up your house, or prepare it for sale, give us a call on 020 3743 0505. 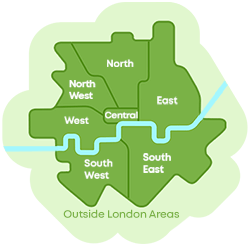 We offer competitive household and business services in London and can help you to make the most of your building. For more information, fill in our online enquiry form today! One of our expert advisors will call you back ASAP! What Facades Can We Clean? Our facade cleaners are experienced at working on all sorts of properties and are fully-trained at dealing with a wide range of exteriors. Modern brickwork, traditional stone and chic glass is no problem for our team who have specialist equipment and state of the art products. 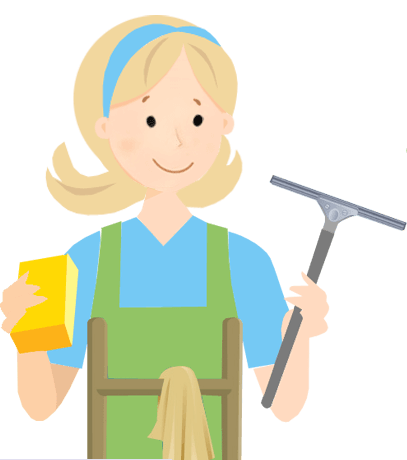 Our cleaning team are known for getting incredible results and can work on historic buildings or new-build properties. 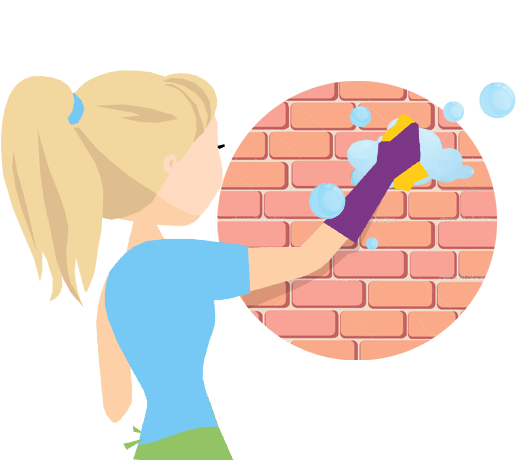 So if your bricks are stained or if your glass front is dirty, book a building cleaning service from our team! Our team are experts at what they do and can clean any property facade from top to bottom. To find out for yourself, call us on 020 3743 0505 to get your free quote now! We guarantee that you’ll be amazed by how much of a difference we can make! Prepare To Be Amazed By Our Outstanding Services! Not every company is as dedicated as we are and that is why we are the number one firm in London. With all of the below and a great deal more, we are guaranteed to leave your building looking great. 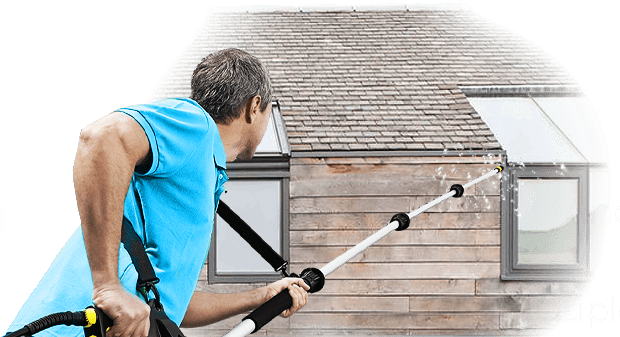 Experienced facade cleaners who have a keen attention to detail. A dedicated sales team who are knowledgeable about all of our services. State of the art facilities which include water-jet cleaning equipment and window cleaning techniques. 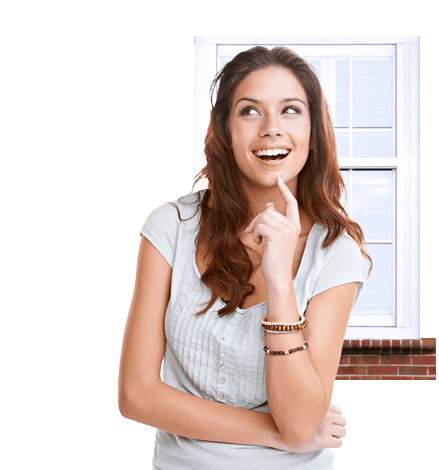 Low-cost solutions for homes and business properties. 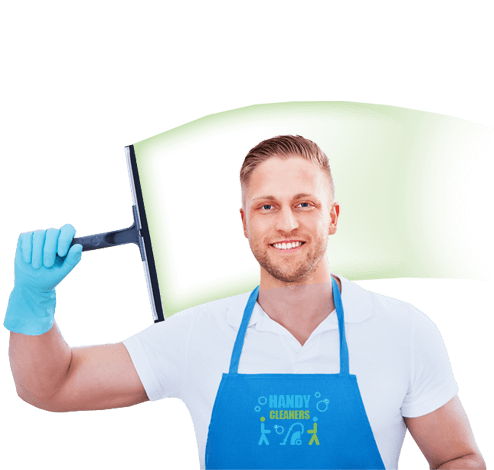 At Handy Cleaners we have a wide range of building cleaning techniques, including water-jet cleaning and window polishing. 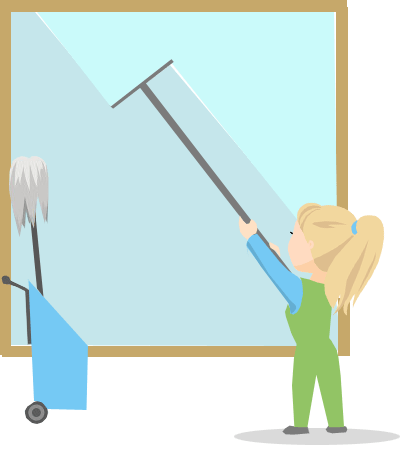 So if you have an office or house which needs a clean-up all you need to do is ask us for some help. Our team can offer you free and impartial advice about all of our services, helping you to make the right choice for your property. So if you’re not sure which of our facade cleaning services would be best for you, ask one of our customer services team for some advice. 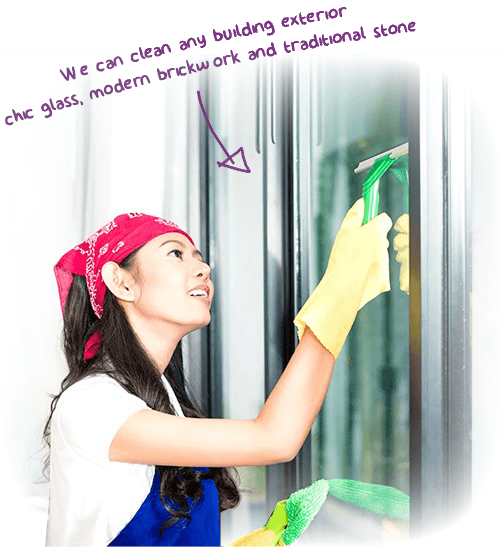 We know everything there is to know about building and window cleaning. Cost-Effective Packages & Impressive Results! 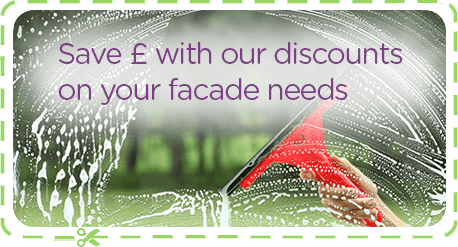 We know that keeping the exterior of your house or office clean isn’t always at the top of your priority list, however with our special limited offers you’d be silly to miss out! 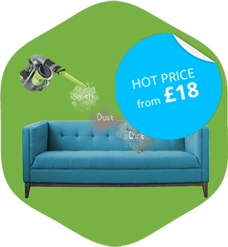 We have an unbelievable range of one-off deals that are cost-effective for any budget. So don’t leave it until it’s too late – act now before our offer runs out! All you need to do is call 020 3743 0505 and we’ll have your package booked in in no time at all! Remember that we offer the best service and the best price in London, so there really is nothing to lose when you hire our facade cleaning services!